Chabad-Lubavitch of Winnipeg — TKM Inc.
TKM provides marketing communications services, strategic planning and government relations for the new Jewish Learning Centre capital campaign. Deliverables include a marketing/fundraising brochure, PowerPoint presentation, news releases and media relations services, backgrounder & FAQ, and web design elements. 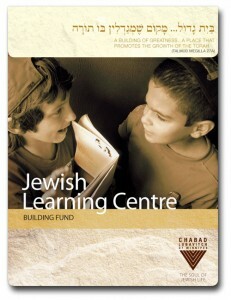 A new logo was also developed for Chabad.